Using OSB to hook up Rest Service is fairly common. There are quite a few articles online talking about how to do it. However, I ran into some particular issues where trying to hook up a Rest Service in OSB. The problem is this service uses query string with XML payload. I had to jump through many hoops to get it to work. This post shows how I did it. Please note that the actual query string is URL encoded. As you will see, this will cause a couple of issues with OSB. If you pay close attention, you will see the only difference is that Firefox encodes “Water St” as “Water%20St”, whereas OSB encodes it as “Water+St”. To the best of my knowledge, both are supposed to be “correct”. 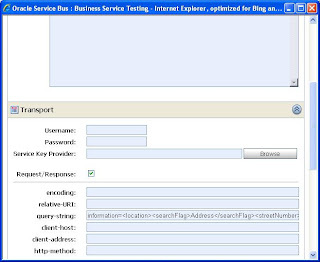 But our test Rest Service runs on IIS, it appears to me that IIS does not filter “+” inside the actual data element. So I had to ask the Rest Service developer to filter “+” inside the code. That solves this part of the problem. As a side note: IIS does filter “+” sign between element tags, just not inside the actual element data. I also suspect there may be a way to tweak IIS to filter “+” sign inside the element data. But I don’t know how if it really can work that way. 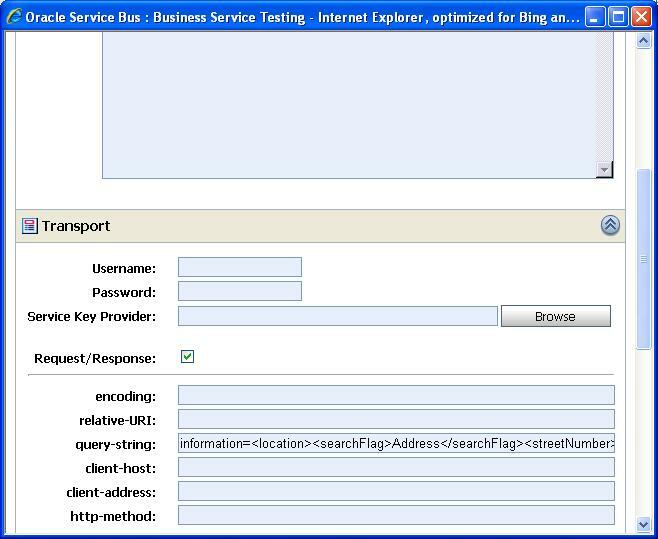 With proxy service, when I call the Business service, I need to pass in “query-string” in HTTP header. However, if I pass in the payload directly, the Proxy service will encode the query string first. When the business service gets the string, it becomes garbled up, and the call will fail. 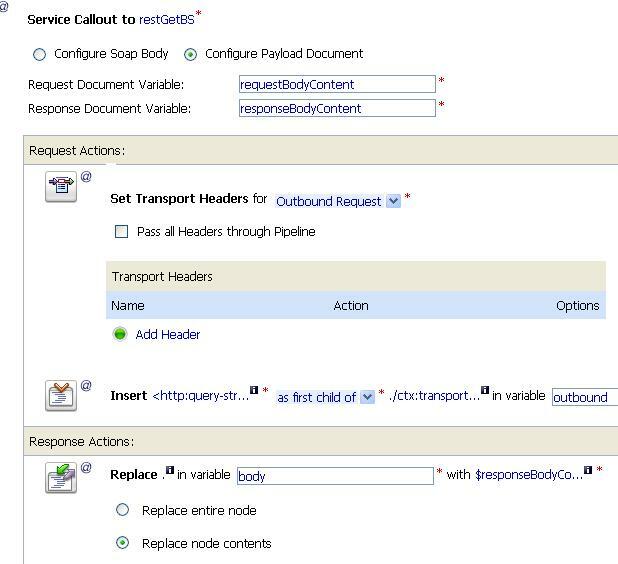 If there is an option to choose what method to use for the Rest service, my recommendation is to use POST, instead of query string (GET), especially if the Rest Service is expecting an XML payload. With POST method, data is passed to the server as-is, no URL encoding is involved. But this is not happenning. Can you please help me with it. I am able to invoke the service from business service. 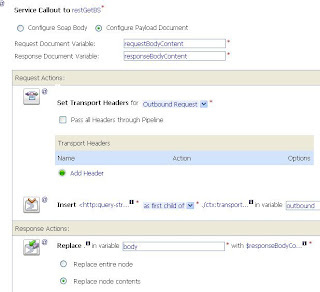 in Proxy service and insert it to outbound variable as shown below the outbound variable. The outbound variable has the tags missing and only the values in between tags gets inserted. So I need to replace the < character with escape character '<'. Could you please send me your code at rishu.sharma85@yahoo.com .I have a similar requirement. This is applicable to www.phoneinlookup.com in business transactions since if we would like to find a potential business partner, we can make use of this technology along with whitepages and yellowpages.